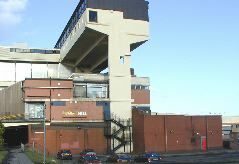 Photographs and information courtesy of Alan Bunting. 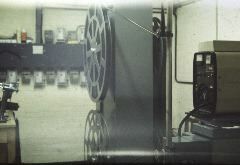 Archive photographs courtesy of Hugh Thomson. 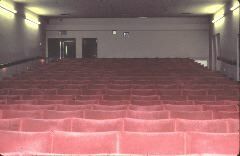 Purpose built by/for County Bingo in 1978; a condition of getting planning permission was that they had to build a cinema as well as a bingo hall. 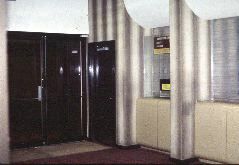 These were side by side with the entrance to the cinema via the left hand roller shuttered entrance in the outside view. 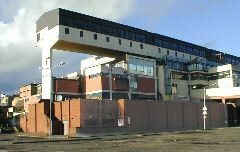 This entrance was just inside the dark hole visible on the left hand side of the end-on exterior view of the building. 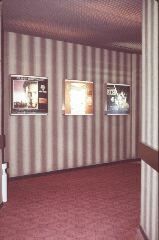 Cinema closed after being run down in the early 1980s. 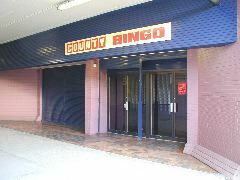 reduced the ceiling height to around 12 feet and installing staircases which lead down to the adjacent bingo hall. 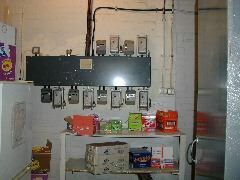 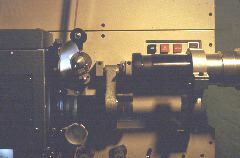 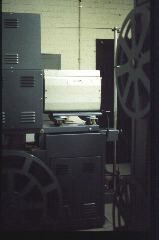 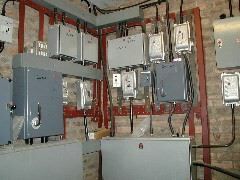 The projection box is now a kitchen (see switch boxes on wall in original and current views) and that in the battery/switch room there are still distribution boxes labelled "Cinema" "Tabs/Masking" etc.